Panasonic introduces new flat panel design which is modern and matching well with your space. 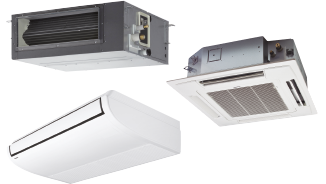 These cassettes have developed to satisfy today’s customer needs such as highest energy saving, maximum comfort and healthier air. by optimising air conditioner operation. 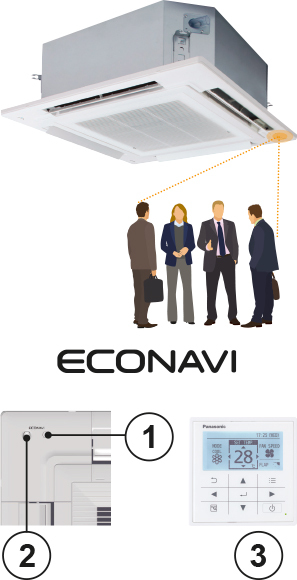 These cassettes offer upgraded Econavi and nanoe™ purification system as accessories for making application space more comfortable, healthy and efficient. This sensor detects average floor temperature and operates circulation if floor is low temperature. This sensor detects the amount of human activity, and operates effectively. 3. Wired remote controller CZ-RTC5B is required. 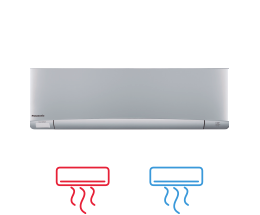 New nanoe™ available by the advanced technology of Room Air conditioning. 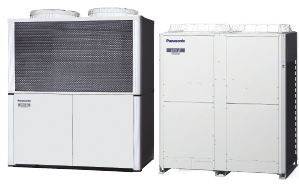 Purificating operation can work simultaneously or independently from heating/cooling operation. Clean inside by nanoe™ + Dry control: inside of IDU can be clean by short operation circuit with nanoe™ and drying. * CZ-RTC5B and optional accessory (CZ-CNEXU1) are required to use nanoe™ function. 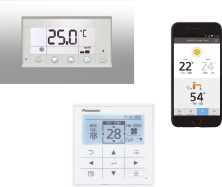 New humidity sensor has added on air suction part, and realizes comfort and energy saving based on temperature and humidity. Circulating operation is activated when nobody is there, and mix air in the whole room. 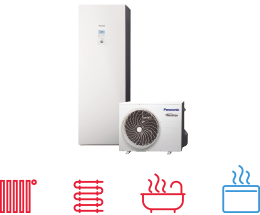 Minimize temperature gap in both heating & cooling operation.